The charming seaside resort town of Cabarete has become a unique world-class sailing venue in recent years. The north coast of the Dominican Republic sits right in a zone of constant breezes known as the Northeast Tradewinds. These winds are steady and constant, particularly in the Bay of Cabarete. Because of the way the sea and land affect each other, wind strength varies during a typical day. In the morning, winds are usually light while afternoons bring stronger winds. This is due to warm air rising over the island as afternoons progress, pulling in cool ocean air to replace it. The warmer the day, the more likely winds will strengthen in the afternoon. Some years ago, an Internationally-ranked Laser sailor started the Cabarete Laser Training Center. 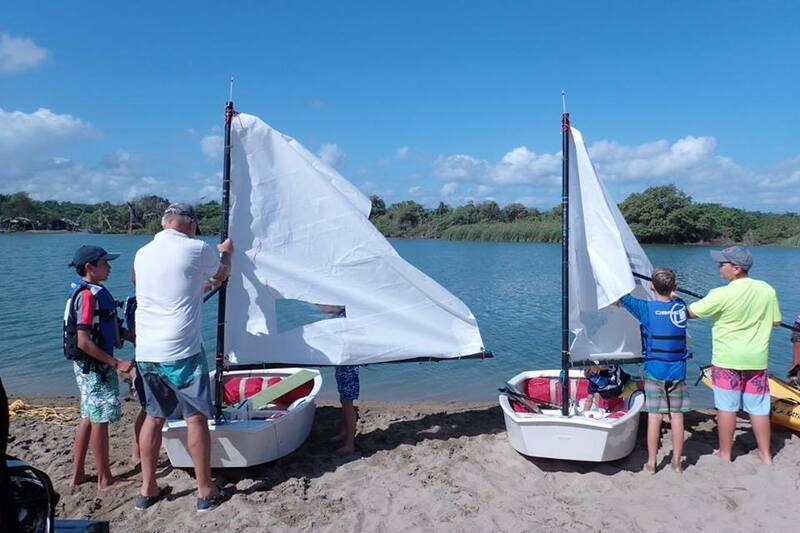 Located right on the beach, the facility offers sales and rentals of various watercraft and forms a base for local and visiting sailors who want to sail in the challenging waters of Cabarete Bay. 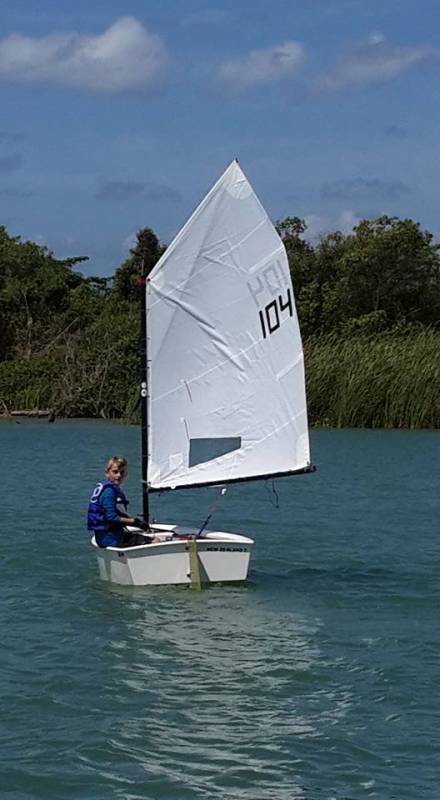 Throughout the year, the Training Center offers sail training to various levels of racing sailors. The advanced clinics feature some former and current Olympic competitors as coaches or participants. 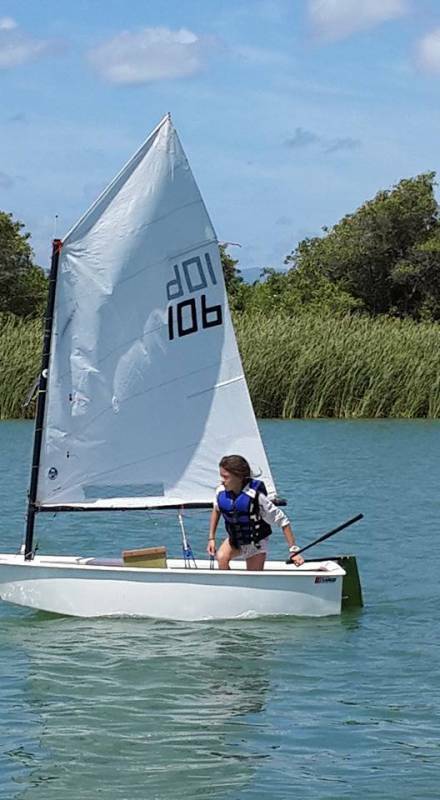 Each January, the Caribbean Midwinter Regatta, a unique sailing venue, attracts Laser sailors from all over the world for a week of clinics and racing in beautiful Cabarete. Sailing is many things to many people. 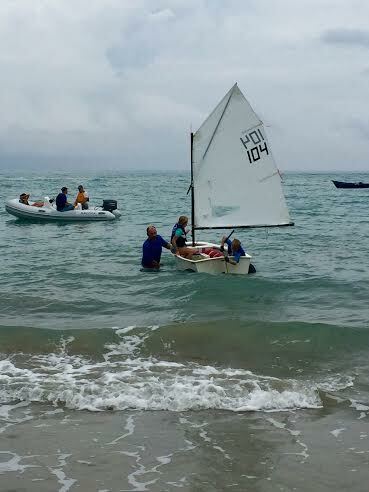 We have in Cabarete every kind of sailor imaginable. They sail all kinds of wind-powered craft from Kiteboards to windsurfers to traditional sailboats. We have world champions and circumnavigators. We also have those fortunate people who sail for the pure joy of being close to nature. Recently, a Cabarete man was sailing just outside the barrier reef near Cabarete. He was enjoying the company of two good friends who were visiting from Maine. The wind was light and the day bright and sparkling. And if that were not enough, a 45-foot humpback whale surfaced near their boat. She had a young calf, born just a couple of months before, and was teaching her baby how to handle the waves of the open ocean. After a magical 10 minutes, the sailboat and the whales parted company with the sailboat returning to its home at the Laser Training Center while the whales headed off north to distant New England.